As an introvert I tend to feel an unnecessary isolation from the extroverted portion of our society. 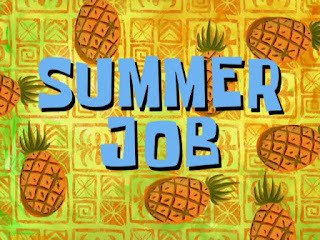 My occasional need for ‘me time’ and an extroverts constant need for social stimulation has, in the past, created boundaries during conversation. Things can get awkward and uncomfortable for both parties when the need of each individual isn’t being met – especially when you’re at a networking event. 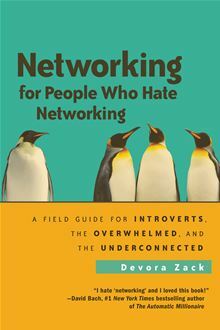 Devora Zack’s charming guide 'Networking for People Who Hate Networking' provides a humorous and comprehensive analysis of both sides of the spectrum. Networking can be intimidating for everyone, even extroverts, which makes this book an excellent companion for all of the social (and not so social) butterflies out there. ‘Networking for People Who Hate Networking’ has the potential to unite, what Zack cleverly calls Introville and Extroland, allowing us all to remove those awkward moments from professional interaction. In general, in order to succeed in each others company we require a solid understanding of how the mind of our opposites work. I can question all day why someone would choose to spend their evenings surrounded by other people in a crowded bar or I can take the time to learn about why extroverts require this type of environment to flourish. And, in return, extroverts can take the time to understand why I prefer to spend my time curled up on my couch with my dog, a cup of Earl Grey, and a good book. 'Networking for People Who Hate Networking' is available for citizens of both Introville and Extroland in the Career Resource Centre!